The Bestiary of Fantastic Creatures is a small collection of uniquely illustrated creatures produced to be compatible with the format of traditional table-top role-playing games playable with paper and pencil. 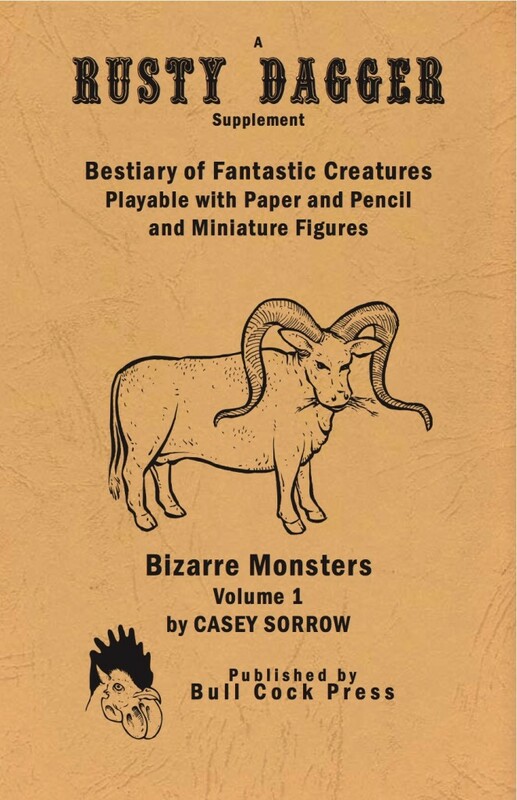 Volume 1: Bizarre Monsters, features 15 creatures complete with illustrations, statistics, descriptions, and campaign integrations. A Rusty Dagger supplement, illustrated and written by Casey Sorrow.